At some point everyone experiences blurred vision for some reason. While it is harmless mostly, it can also be an indication of an underlying health conditions. Like most people, you have probably experienced blurred vision at some point in your life. Blurred vision is the condition whereby you experience visual disturbance such that you are unable to see clearly. Also referred to as hazy vision, blurry vision, mist over eyes, cloudy vision, foggy vision or dull vision, this condition is caused by a myriad of reasons that will be discussed later. If you notice any change in your vision, it is important to see a doctor. While it might be alarming, most conditions that cause blurred vision are treatable. Blurred vision is normally caused by refractive errors. This includes farsightedness, astigmatism and nearsightedness. It can also be a symptom of a more serious condition such as eye disease and neurological disorders. While the condition can affect both eyes, it mostly occurs in one. Blurry vision is often confused with cloudy vision. If you have cloudy vision, object will appear milky and obscured and is usually a symptom of cataracts or a serious eye infection. Below are some of the causes of blurred vision. The dry eye syndrome can affect your eyes in a number of ways including fluctuating and blurred vision. You can use artificial tears, prescription medication or punctual plugsto keepyour eyes healthy and well lubricated. 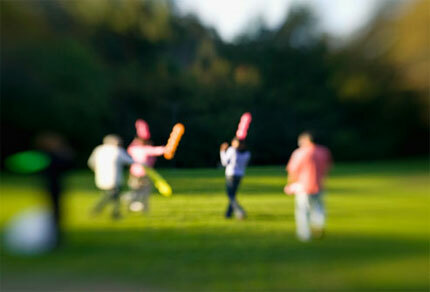 Blurry vision is often a symptom of nearsightedness. Objects will become blurred when you view them from a distance. It can be corrected with refractive surgery, contact lenses and eyeglasses. This simply refers to farsightedness and is the opposite of myopia. If you’re suffering from hyperopia your eyes can’t focus on objects that are up close. It can also be corrected with contact lenses, refractive surgery and eyeglasses. This is a condition whereby objects appear blurred irrespective of the distance you’re viewing them from. Astigmatism is normally caused by an irregularly shaped cornea. The condition can be corrected with eyeglasses, refractive surgery and contact lenses. If you’re over the age of 40 and you begin to experience blurred vision when viewing objects up close, it could be a case of presbyopia. This is a naturally occurring condition that comes with age. It is usually as a result of the hardening of the lens inside the eye. You can either were reading glasses or opt for presbyopia surgery if you are deemed a suitable candidate. As you age, the gel like vitreous in the eyes starts to liquefy. As a result, the microscopic bits of tissue found in the eye’s vitreous start to float inside the eye, casting shadows on the retina. Should you develop eye floaters, see your doctor immediately. If you experience cloudy or blurred vision accompanied by night ‘halos’ and glares, you might be suffering from cataracts. Left untreated, you can easily go blind. If you experience gradual and sometimes sudden narrowing of your field of vision along with blurred vision, you could be suffering from glaucoma. AMD or age related macular degeneration is a condition characterized by the gradual blurring and loss of vision whereby you see straight lines appear broken or wavy. If you are over 60 and develop blurry vision in one eye, you may have developed a macular hole where fine focusing occurs in the retina. It could also be a sign of eye herpes, optic neuritis or a detached retina. When you’re pregnant, it is normal to experience blurry vision and double vision. This is caused by hormonal changes that affect the thickness and shape of the cornea. While migraines are generally harmless, they are usually accompanied by blurred vision. This is a sight threatening condition that can damage the eye’s retina. High blood sugar can cause the lens of the eye to swell and affect your sight. Your blood sugar should always be at the recommended range which is usually between 70 mg/dL and 130 mg/dL before eating your meals and less than 180mg/dl after your means. Blurred vision accompanied by double vision could be a symptom of a brain hemorrhage or stroke. It can also be a sign of multiple sclerosis. Hypertension or high blood pressure is usually referred to as the silent killer. There are normally no symptoms and you won’t get to know that you have it until you have your blood pressure measured. However, sometimes victims of high blood pressure may develop blurred vision among other symptoms. It is therefore important to see your doctor whenever you have blurred vision. If you were contact lenses for longer than your doctor has prescribed, you risk experiencing double vision. This is caused by the buildup of protein and debris on the lenses. After going through LASIK, it is normal to experience blurry vision. This should not be a cause for alarm as it will clear in a few days. If you are using eye drops, there is a chance that you will experience blurry vision. This is especially so if the eye drops contain preservatives. You can control these side effects by using artificial tears, punctual plugs or dry eye medication. Medication such as allergy pills can also cause the blurry vision. When you visit your doctor, they will be able to determine the cause of the blurred vision as well as measure the extent of the damage. Normally they will conduct tests such as slit-lamp, standard Snellen eye chart and spatial contrast tests. If you experience sudden blurry vision that persists, there is a chance that you could be suffering from a serious health problem. Blurry vision is normally preventable or can be corrected. One of the ways to prevent blurry vision is to wear sunglasses, which reduce exposure to light. This, in turn, reduces your chances of developing temporary blurry vision. You should also avoid alcohol as intoxication can cause blurred vision. It is important to get regular eye checkups if you are over 65 years old or suffer from diabetes or high blood pressure. The table below gives a breakdown of the number of eye checkups you should have based on your age. Crystalens: Usage, Models, Candidates, Consideration, etc.